Recording Fever has swept the divorce world, at least, since the 1980s. Not so fast. First of all is it legal where you are? States have differing laws on recordings. Generally, in this state, recording is legal so long as one person to the conversation is aware that it is being recorded. However, this is not the case in every state and some require all parties know and consent. Secondly, is the recording a set-up? There have been instances where a spouse (or ex-spouse) intentionally created circumstances where the other spouse would “blow up.” Under these circumstances your recording may get you in more trouble than it’s worth. Third, is the recording complete and unaltered? Recordings can be edited. They can certainly be manipulated. Recordings must be authenticated, complete and relevant to be considered admissible. Recordings, either audio or video or both, may well be legal, legitimate, complete and valuable, but it could easily be illegal, under false circumstances, incomplete and of no value. Discuss the laws regarding recordings and admissibility with your attorney. 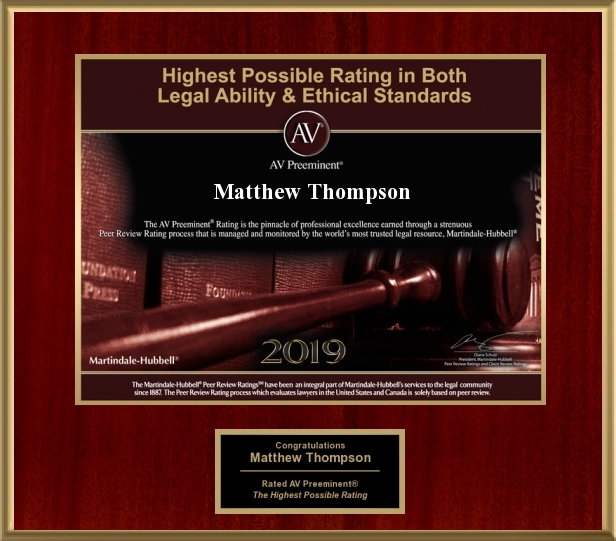 Matthew Thompson is a Family Law Attorney in Mississippi and warns clients of the possibility of surveillance and recordings, reminding them to say and do things they do NOT mind being played back in Court.